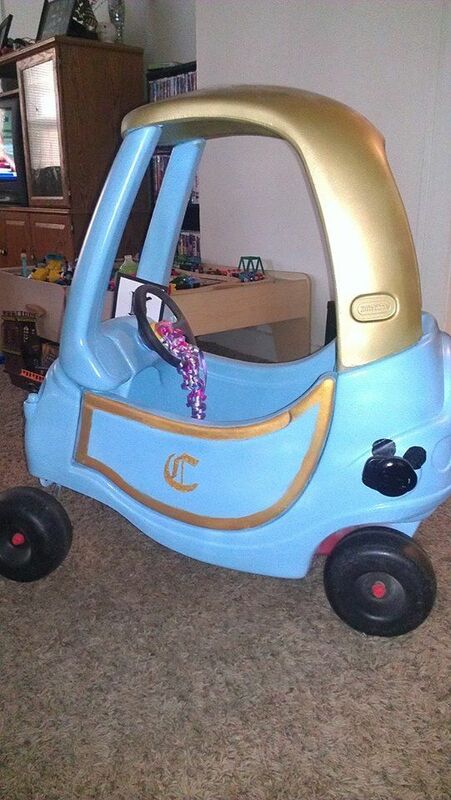 The BEST cozy coupe kid car ideas to inspire imagination and impress the neighbors. 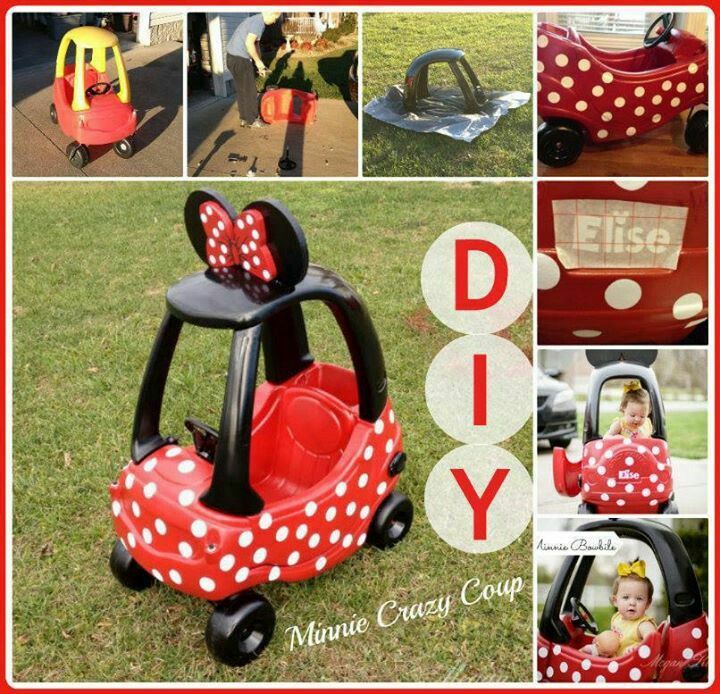 Either buy new or find an old cozy coupe and upcycle it into one of these super cute cozy coupe kid car ideas! 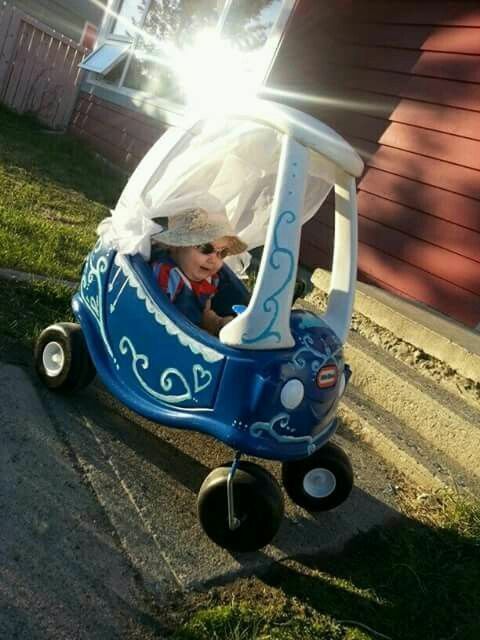 Inspire Imagination with These Tricked Out Cozy Coupe Cars for Kids! Elf 1 and Elf 2 both LOVED their Cozy Coupes! You know what Cozy Coupes are…I think of them as The Flintstones mobile for kids…because they’re powered by the tiny little feet of kids. Cozy Coupes are made by Little Tikes and typically come in bright red and yellow…but over the years, they’ve added some amazing additions to the Little Tikes Cozy Coupe Collection. 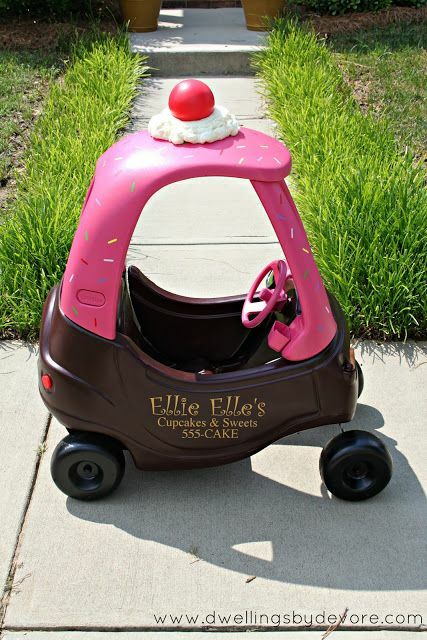 Anyway, the elves have outgrown their cozy coupes but I sure wish I knew about all of these awesome ideas to customize their cozy coupes when they were smaller! 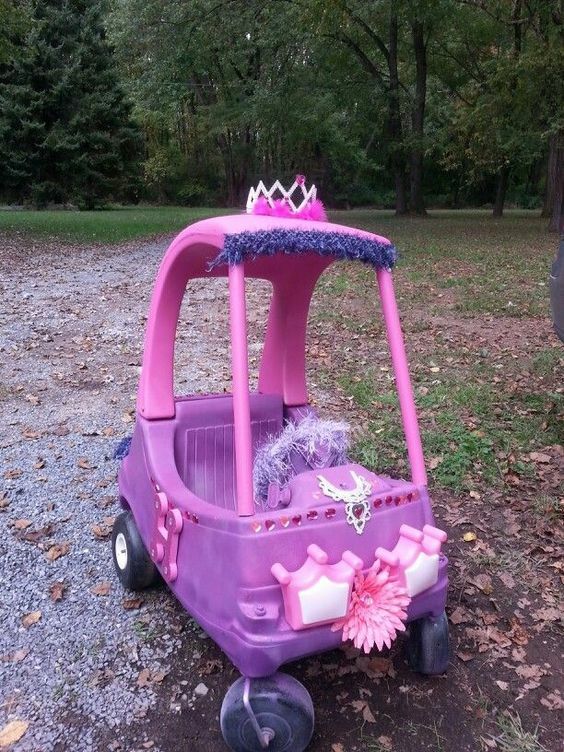 Seriously, this Horse Drawn Princess Carriage is a dream come true for little girls everywhere! And….they even upgraded it this year to a beautiful Magical Unicorn Carriage…seriously, WHY was this not around when I was a kid?! The unicorn’s horn even lights up!! 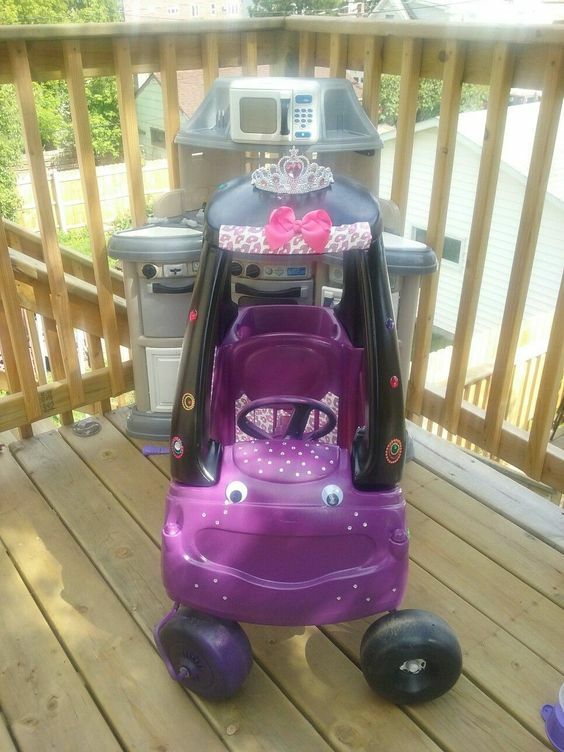 Or, if that’s a bit outside your budget then DIY something similar…I always find old Cozy Coupes on FB Marketplace or at yard sales…you could find a cheap one and update it…. 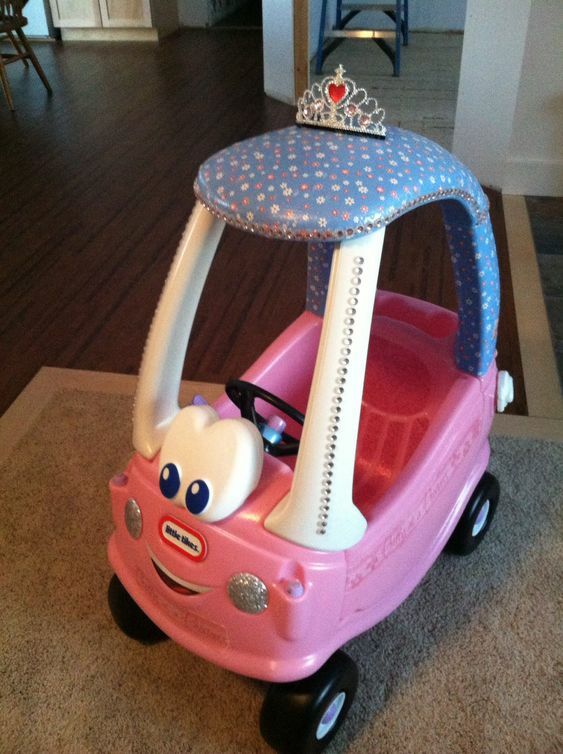 Check out this Butterfly Princess Cozy Coupe from Little Tikes it’s pretty darn cute too and a great price too! 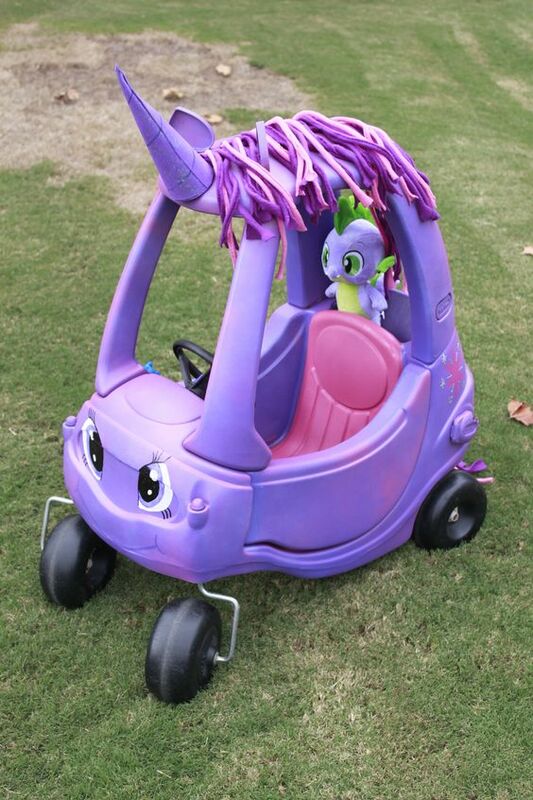 Plus, you don’t have to be super crafty to have an adorable ride on for your little one! 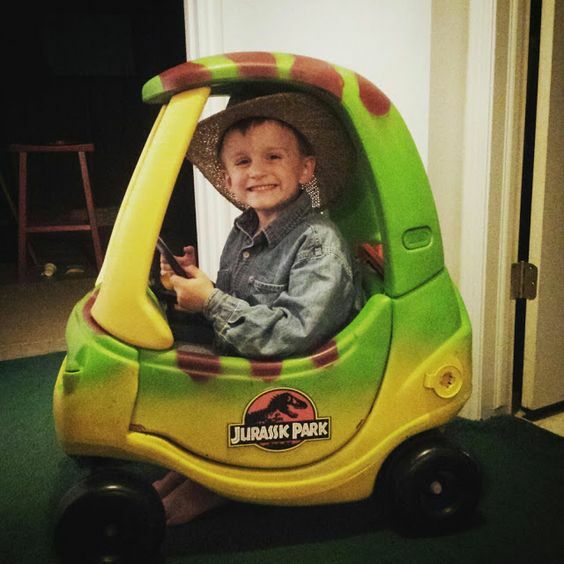 Now, Cozy Coupes aren’t just for little princesses…there are some AWESOME ones people have made for the little man in your life too! 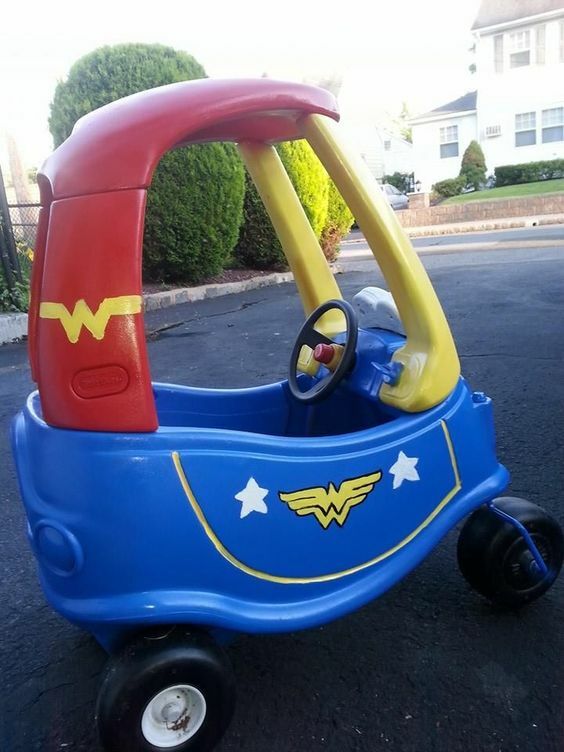 Seriously…how cool is this Truck from Little Tikes?! 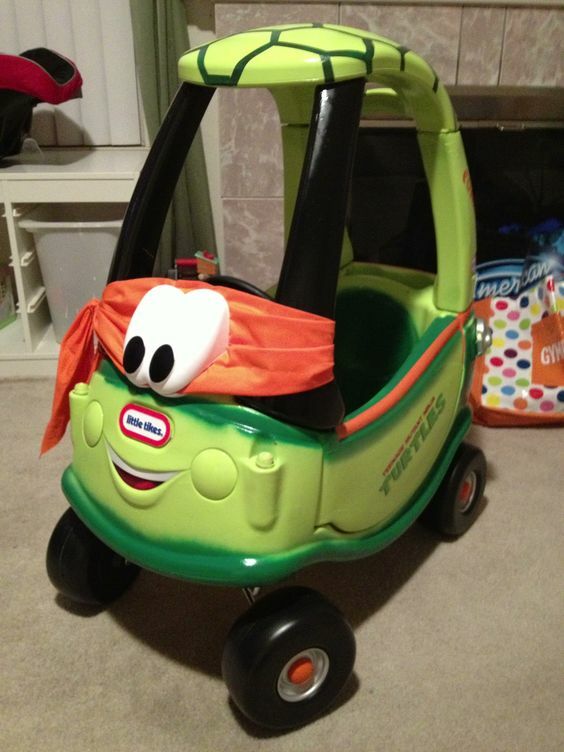 Check out this SUPER RAD Teenage Mutant Ninja Turtle ride someone made using an old Little Tikes Cozy Coupe! When there’s something strange in the neighborhood…who you gonna call? Ghostbusters!! 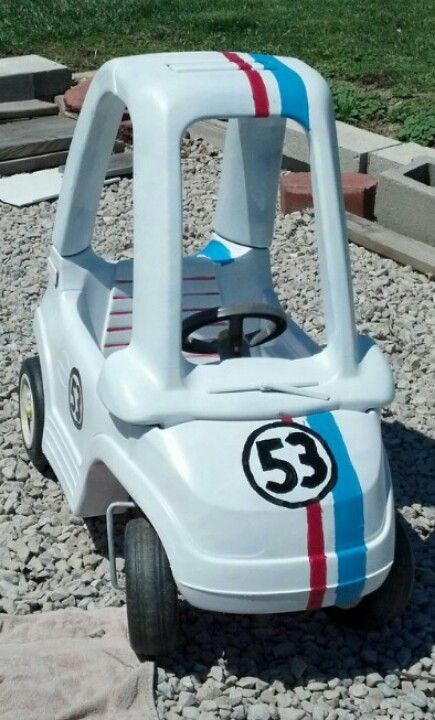 How cute is this Ghostbusters mobile upcycle from an old Cozy Coupe?! 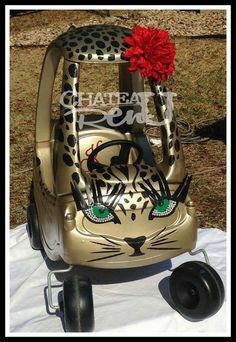 You could DIY this Cozy Coupe Firetruck Makeover or just save the time and hassle by ordering the one that’s already done! Order from Amazon with free 2-day PRIME shipping! 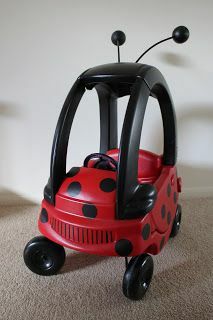 I may be dating myself a little bit but I’m going nuts over this Herbie the Love Bug Cozy Coupe Redesign…how much fun is this! Who doesn’t want to be Batman?! 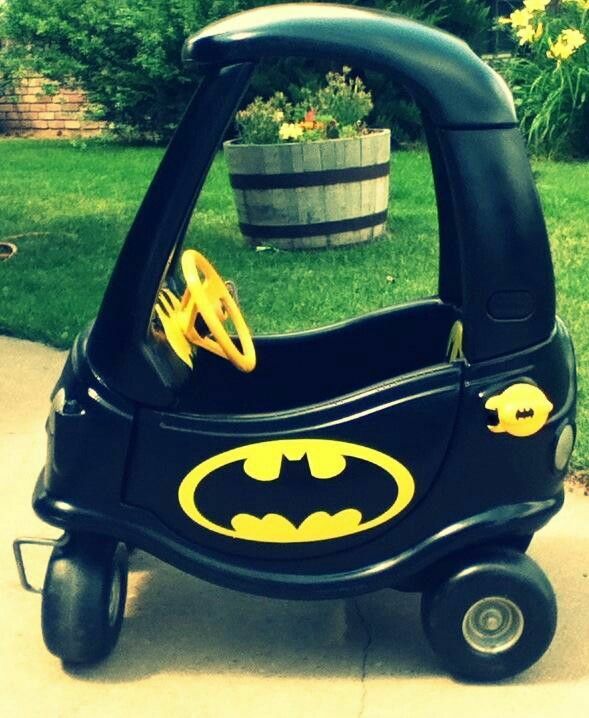 Make your superhero their very own Cozy Coupe Bat Mobile! 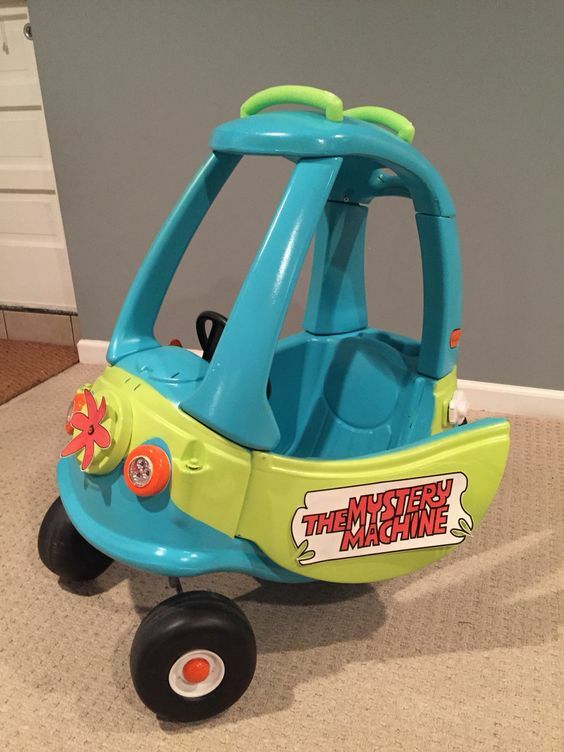 Hey….it’s Scooby Dooobie Doo….and the Mystery Machine! 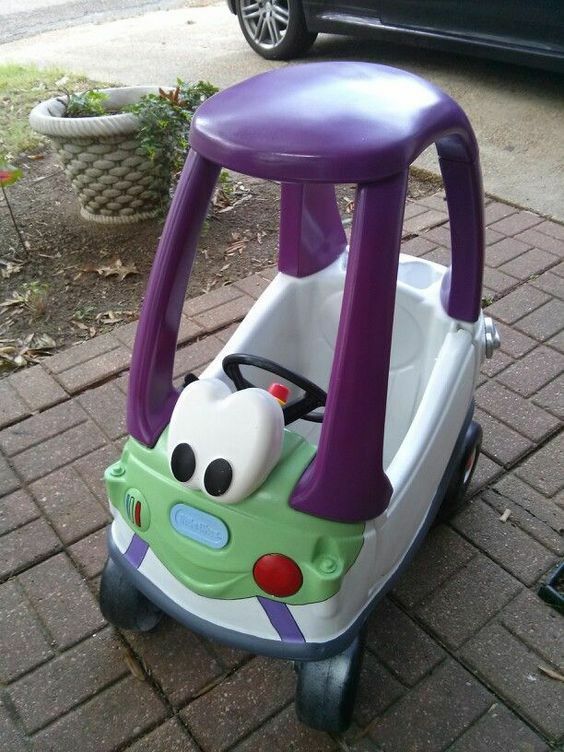 Which is your favorite Cozy Coupe Make-Over? Share in the comments below!